I use this ping block of yogurt for the icing of the treats. We then color it with a gel paste but if we use dark colors mainly black it seizes and is a big pain to write with. Little tiny clumps clog up the writing tips. We use paramount crystals to thin it out but have been having problems with the colors like black and red. What can I do to be able to use a smooth black to write with and make small details? From your yogurt description, it appears to be a fat-based product. These products are almost always made with unhealthy hydrogenated fats. We encourage you to carefully check the ingredients to make sure these unhealthy fats for dogs are not in the list. You mention that you are using a gel-based coloring. These colorings are typically made with glycerin and sometimes the combination of glycerin and particular coloring pigments will cause the seizing you describe. One thing to try is to switch to a powdered food coloring. Be sure to check the ingredients of the black food coloring as some black food colorings can include cocoa powder which should not be fed to dogs. If you continue to experience problems, it becomes a matter of trial and error using colorings with varying ingredients. Well the dogs actually diddnt want to eat any treats with the powdered mixes. They diddnt like them. We don't use yogurt chips we use a grade A yogurt that works great but it's just that black color that seizes it . So what can I do to prevent that ? The first concern is that you are using a meltable yogurt compound coating. 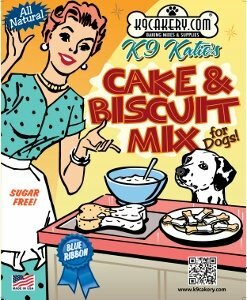 These were used before the new dog-safe powdered mixes were developed by K9Cakery. Compound coatings are made from hydrogenated fats and lots of sugar. They have a little bit of yogurt powder added but do not be fooled, these are not exclusively yogurt. Hydrogenated fats are unhealthy and large amounts of sugar are not the best either. The other problem is that they melt at about 90 degrees which can make a mess in warm weather. Try and icing writer that can help you accomplish your goals but for best results we recommend that you use Magifrost frosting or icing. 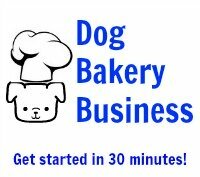 These products are tapioca based, have no fat, gluten, or dairy, are made safe for dogs and will never melt. They are a powder that is mixed with water, applied and dry hard permanently. For your dog’s health, please abandon the hydrogenated fats.